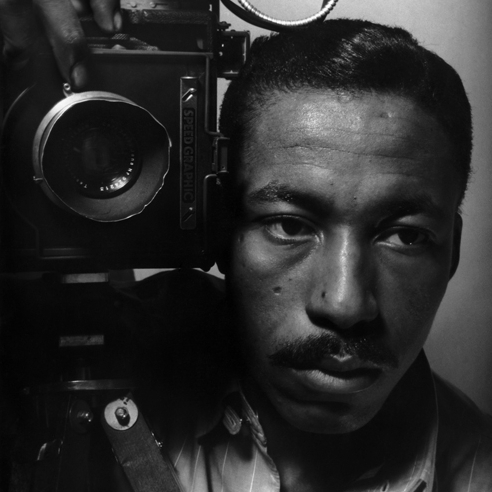 A career-spanning exhibition of Gordon Parks photographs from the Dean Collection will debut this spring at The Ethelbert Cooper Gallery of African and African American Art at the Hutchins Center, Harvard University. Gordon Parks: Selections from the Dean Collection will premiere a selection of works from the collection of Kasseem Dean and Alicia Keys, who hold the largest private collection of works by Gordon Parks. Recognized as the most important African-American photographer of the 20th century, Parks represented his subjects—from the rural poor and Americans living under segregation to fashion models and prominent Americans—with empathy and dignity, employing the arts to champion social change. On view April 26 through July 19, 2019, the exhibition is co-organized by The Ethelbert Cooper Gallery of African & African American Art at the Hutchins Center, Harvard University and The Gordon Parks Foundation in cooperation with consulting curator, Dr. Maurice Berger. The Dean Collection’s holdings span Parks’ entire career from his civil rights era images to fashion photography to portraits to lesser-known works. The exhibition will premiere a selection of highlights, including portraits of prominent civil rights leaders and cultural figures such as Malcolm X and Muhammad Ali, images of life in Jim Crow-era rural Alabama, fashion pictures, and documentary photographs, along with many lesser-known images. 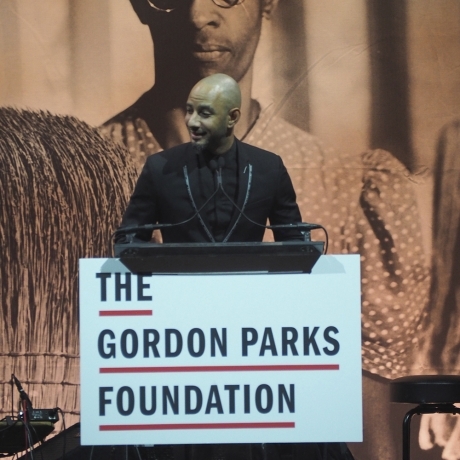 For several years, Keys and Dean have served as co-chairs of the annual Gordon Parks Foundation Awards Gala and announced the acquisition of 80 works by Gordon Parks at last year’s event.